Everyone is guilty of posting the perfect foodie picture on Instagram and I’m no different. In fact, I sought out to create a following from it to promote my home cooked meals to share with my family and friends, so Instagram was the perfect platform. And even though I’ve been active on Instagram for a while I had a hard time gaining consistent followers even when posting at the best times, using popular hashtags and creating catchy descriptions for each post. When I looked at my Instagram analytics I was surprised to find that engagements on my photos were high; however, the number of followers on my account was remarkably low. So, I decided to try Instagram bots, which are programmed bots that are set to increase your following and social engagements. To test my research, I found and tried three different botting companies which I was pleased with: Instamigos.net, Influxsocial.com, and Instagress.com. Quick disclaimer; the last two I mentioned have already been closed by Instagram; but I will still give you my feedback based on my experience to be fair. I started my research with Influxsocial, which was a very stable tool and included many useful features at a moderate cost of $29.00 for a Pro Account. Once, I set up an account with Influxsocial the bots were able to automate my following/unfollowing and likes based on my target setting. I was able to use Influxsocial for about two months until the services were shut down by Instagram. So, I started my journey yet again of finding another stable platform and later found Instagress, which in my opinion, was very easy to use and affordable. One of Instagress’ features worth mentioning is the auto-like feature; which essentially is a clone of yourself and does the liking for you based on your target definition. Within, the first few months between using InfluxSocial and Instagress, I was able to drastically increase my number of followers from 200 to around 3K. As my account started growing and my engagement was rising Instagress eventually got shut down which came as no surprise. It was déjà vu all over again, but now I was hooked into botting, and I needed a replacement fast! By now, I had around 4 thousand followers and my use of Instagram was minimal. I would only use Instagram when I cooked and posted photos on the channel which averaged 3-4 post per week. So, after doing more research I found the replacement for Instagress, through Instamigos.net which provided a similar service and features from both apps but at a cheaper cost. The price of Instamigos‘ services was $14.99 a month and this program used the auto-follow and auto-like feature that I loved. Results became evident as my account kept growing. As of today, I’m still using Instamigos, and I’m extremely pleased with my success. One thing I love about using Instagamigos is the minimal involvement on my part that’s needed. Once I’m logged in my account @nolis_kitchen the program does all the work and my account has grown and picked up over 10,000 followers. Usually, Instagram accounts that were more active than me receive better results. More about bots and how they work. What is an Instagram bot? An Instagram bot is a computer software that engages on your behalf. The most common features are auto-follow/ unfollow, auto-liking and commenting. Most of the Instagram bots run based on channel selection and hashtags that are predefined by you. After, the bots are set, they target users that are associated with those channels and hashtags by following and liking their post. Overall, their accuracy of targeting the audience is quite impressive. Which is the main reason why I believe in using bots for liking and following; it is a smart way of outsourcing the manual work to a computer program. Now to address the elephant in the room! Some people believe the practice of using bots is dishonest and cheating the Instagram platform. Since its origin, Instagram was created to help people showcase beautiful images and to create an engaging experience for users all over the world. And while this is true, this is only one side of the coin. 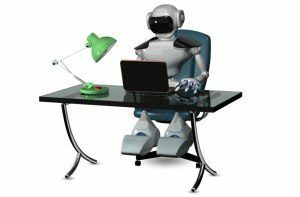 On the flipside, some people, brands and companies see the value of having a bot do the heavy lifting for you while you concentrate your effort on running the business and content creation. As a business owner or influencer, this is an excellent way to grow your account at a low cost. Please share your thoughts and experience by commenting below.